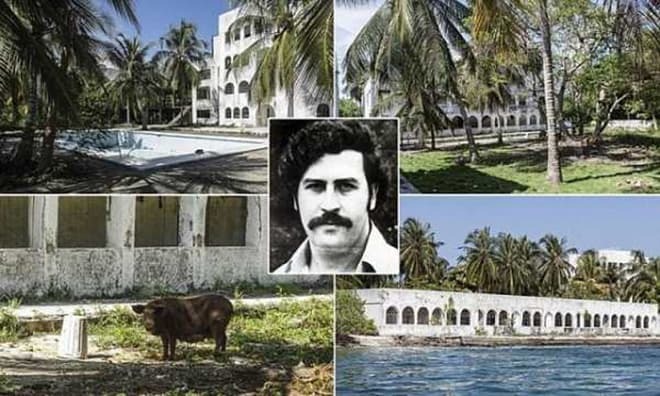 Pablo Escobar was fond of footballPablo considered himself to be Robin Goode and spent a part of crime money to help poor people, for example, he built lodging for them. In some quarters you can still see the portraits signed with the words "Saint Pablo" on the streets. The detailed information about Pablo Escobar's biography appeared several decades later after his death due to the photo archive which was created during long years by his former schoolmate Edgar Jiménez. He had been a mediocre wedding photographer until Pablo gave him a job. After he had gained world recognition due to the main character of his reports he became known under the name of El Chino. Just several decades later he opened the family archive of the drug lord for the public. The drug lord began his career from the stolen sepulchral monuments from which he erased the names and resold them. Then he started to sell cigarettes and marijuana. Moreover, he forged the lottery tickets which were popular in Colombia at that time. The first small band created by the drug lord was engaged in the car theft. Later they began to be involved in the racket – they offered the owners of the transport to pay for its safety. Some years later the gang changed their activity and began kidnapping. By the age of twenty-two, Pablo became the most remarkable criminal authority of Medellín where the gang pulled their deals. 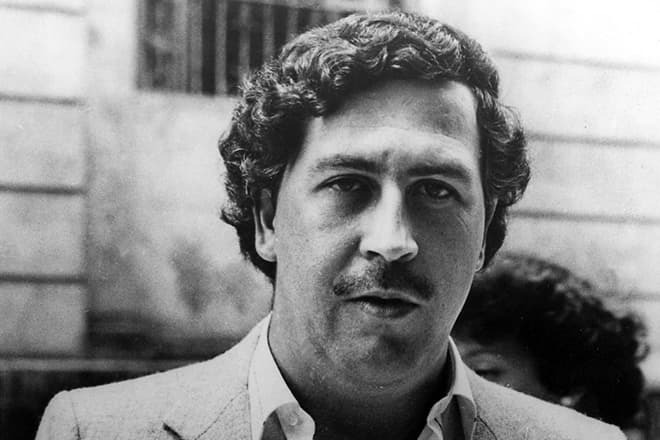 At this time Escobar became engaged in the drugs business, to be exact – it was cocaine with which was connected all his further life. In a short time, he managed to become the first in the cocaine industry all over the country, and then in South America. 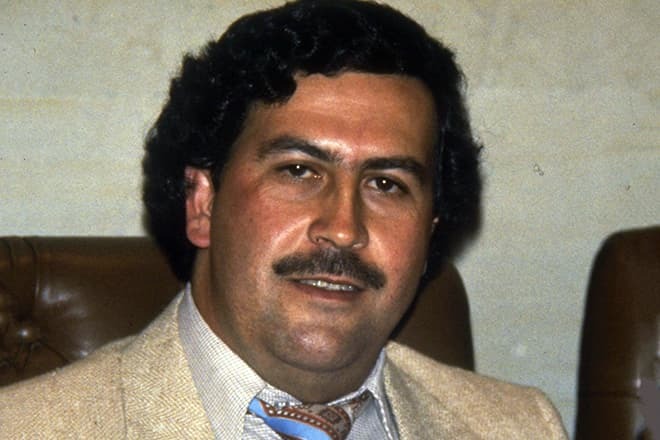 Already in the young years, the drug lord Escobar controlled each drug consignment which was shipped to other countries. He imposed a special tax and provided the delivery of the shipment. They even founded special laboratories on the cocaine production in the jungles of the country. At the age of 27, Escobar married Maria Victoria Henao. In a year she gave birth to their son Juan and later their daughter Manuela was born. The family made the criminal a vulnerable person as well as any other personality. Escobar was hiding from the authorities in the woods in the north of the country, and his wife and daughter had frozen. So, their caring father had burnt nearly 2 billion dollars to warm his family. At present Escobar’s children have settled in Argentina and have changed their surname. Besides the zoo, famous all over the country which is situated on the territory of his own estate Pablo created the whole town for his mistresses who were the concubines of the criminal authority and his companions. More 400 women were living on the territory of "mini-town." Each of them had her own house with the particular design, many lakes around, summerhouses and cozy places where they could hide from the heat during summer and have love affairs. For the closest mistresses, Pablo brought the modelers and cosmetologists from Europe for his favorite mistresses. 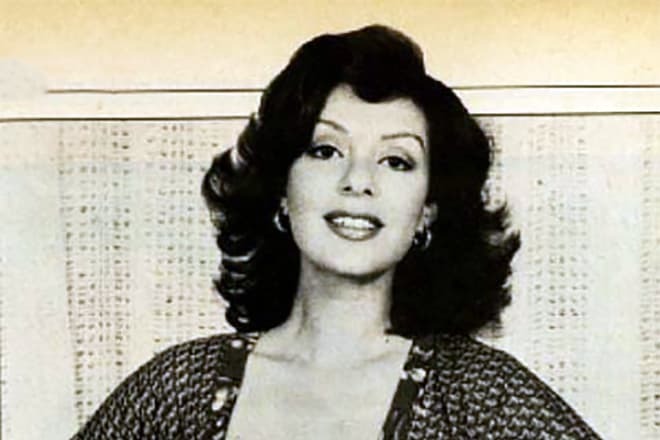 Virginia Vallejo was the most well-known mistress of the millionaire. Despite all her merits and skills, she became famous after her love affair with the drug baron. She was a BBC journalist an became the only one Colombian press representative at the wedding of Prince Charles and Princess Diana. She also became the face of the famous tights’ brand as a model. In 2011 there were released Virginia's memoirs, Loving Pablo, Hating Escobar. This book was translated to the English language and became the best-seller, and at the same time, it's а love story and biography of one of the most violent men on the planet. There is no plan to translate this book in the Russian language. At present, there are held the shootings of the movie based on Virginia’s book. The cinema Loving Pablo featuring Javier Bardem and Penélope Cruz in the leading roles is promising and seems to be interesting. The most popular Escobar’s mistress lives in the U.S., in Florida till present days. Here she was given political asylum. In 1977 the drug lord had created The Medellín Cartel which existed for seventeen years. Also, he had taken control over almost all cocaine trade on the U.S. territory. The cartel’s primary principle was: "Pay or die." Some years later the Forbes magazine estimated Escobar's wealth at 47 million dollars. On this black money, the drug lord built lodging for poor people trying to gain the glory of local Robin Goode. He explained that with the fact that he "just helped the underprivileged" people. Moreover, Escobar owned more than 500, 000 acres of land, 30 estates and 40 rare cars. Pablo laundered some money through the sponsorship of the Atlético Nacional football team. The football became the next criminal’s passion. He spent his money on the construction of football fields and other infrastructure. His bodyguard told that "football was Pablo's joy, passion, and rescue." 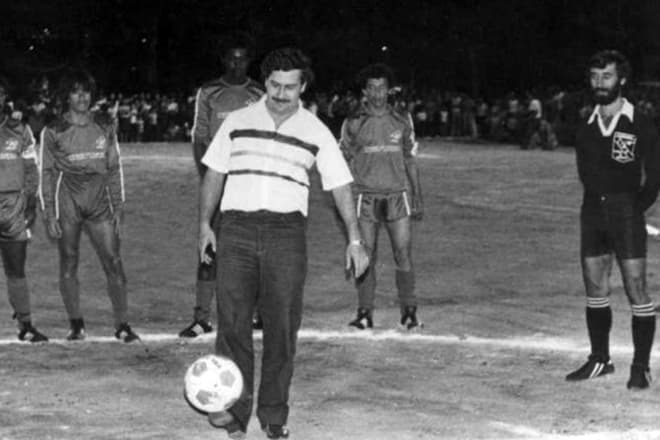 But even in this sphere, Escobar managed to leave a blood trace: one of his people was accused of killing the referee of the match in which the drug baron's team didn't win. 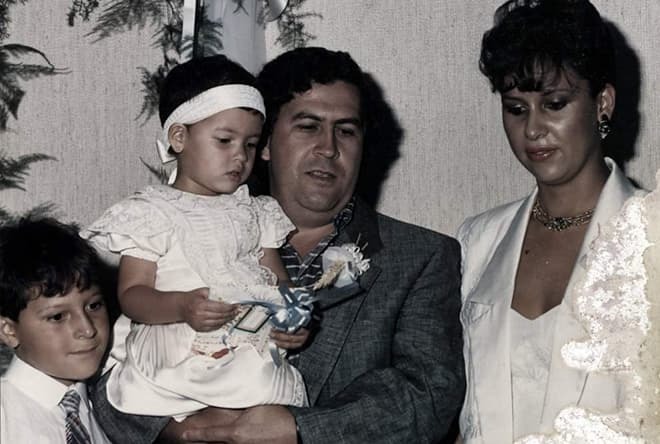 Strange as it may seem, it was Escobar’s sentimentality and affection for his wife and children which became the cause of death of one of the most violent criminals. Being wanted for the arrest, Escobar didn't communicate with his family for more than a year. After he had celebrated his 44th birthday, the other day he decided to call home. The intelligence services were waiting for this call for a very long time. This five-minute conversation became drug baron's fatal mistake. The agents of the intelligence services surrounded the house in which he was hiding. 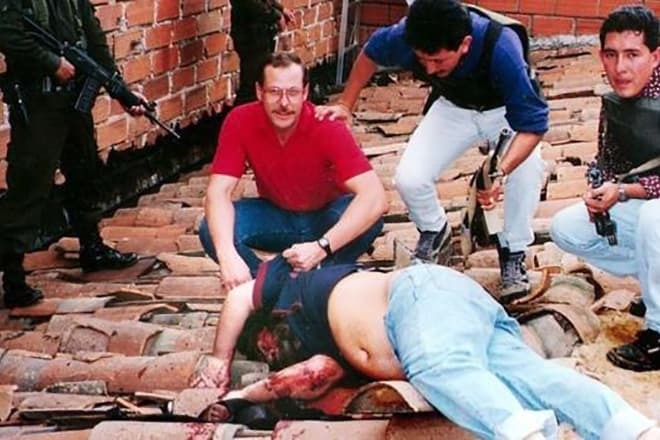 The firefight began, the door was kicked down, and Pablo was shot in the head by the sniper. 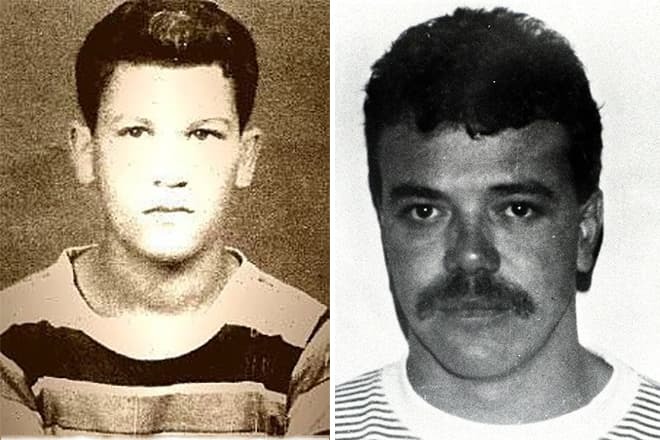 Sometime later Escobar's son Juan said to the press that his father committed suicide when he understood that he couldn't escape from the authorities. Anyway, people took photos with the body on the roof of the building as if it was a trophy. Later these photos spread all over the world. Pablo Escobar's funeral was held on the 3rd of December, 1993 and there were more than 20, 000 Colombians who attended it. People who were carrying the coffin were torn down by the uncontrollable crowd, as everyone wanted to touch the numb face of the legendary personality for the last time. At present the thousands of tourists from all over the world visit Escobar's museum.